The Playground One Turbo Deluxe Dual Swing-O-Saurus is not a dinosaur of a playset. 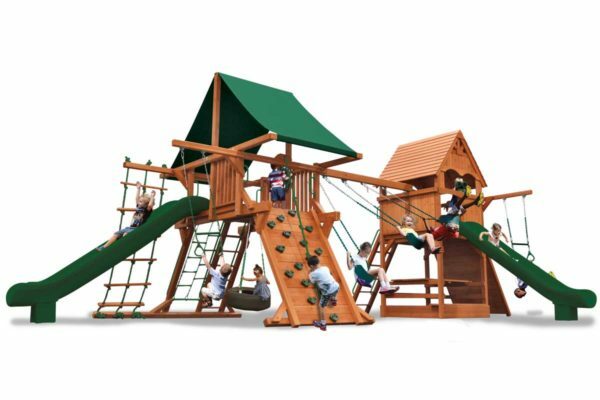 It gives you the swings in between the Playground One Turbo Deluxe Playcenter and the Playground One Turbo Deluxe Fort. The kids in your family will love the Upper Enclosure hideout, while watching out for predators. With Dual Turbo Super Ride Slides, Rockwalls, and step ladders, everyone can enjoy this fantasy playset.